Cre8mania is a multidisciplinary digital agency crafting experiences for market leaders in terms of 360 videos, Virtual Reality (VR), Augmented Reality (AR), 3D Mapping, Digital Signage, Holograms and more. Cre8mania	Overall rating:	0	out of 5 based on 0	reviews. 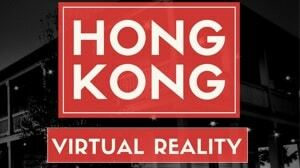 Welcome to the growing Virtual Reality Directory hosted by HKVR. We want to give you a full list of different VR agencies to choose from.